The accounting firm Stowe & Degon has compiled the books and records of the George I. Alden Trust as of December 31, 2017. 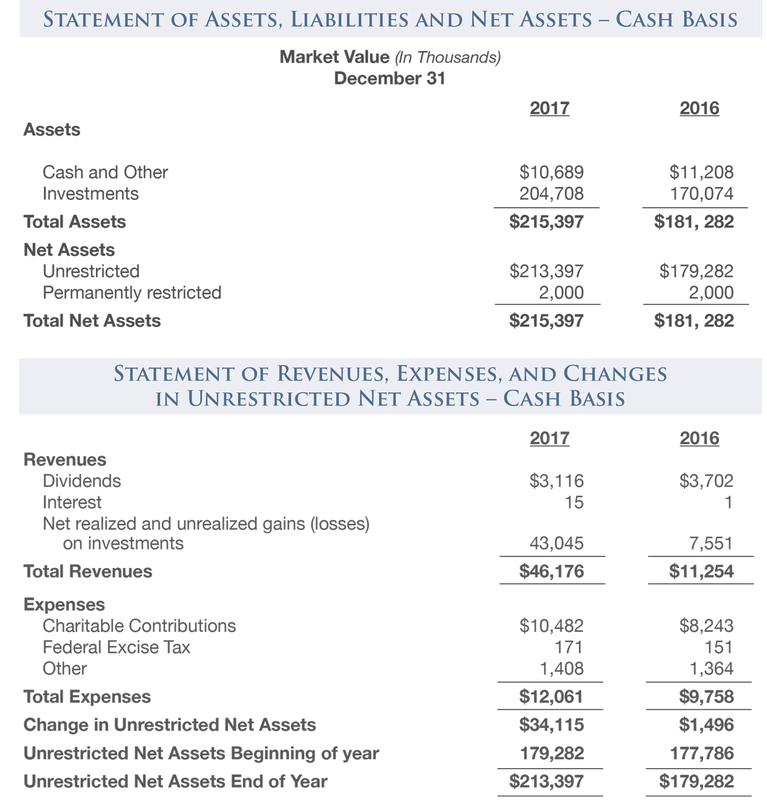 Stowe & Degon noted in their accompanying statement that it is the Trust’s policy to prepare its financial statement on the basis of cash receipts and disbursements except that investments are carried at market value. With this background we present below highlights of the Trust’s basic financial statements.